Neither of us have been before so was hoping somebody out there may have some recommendations for restaurants and good wine spots / attractions? Not a local but last time I was in Madrid I spent a few hours before my flight at the Mercado San Miguel. Nice selection of Tapas and you can mill around drinking wine whilst nibbling on tapas. Worth a look if you have a few hours and want to try lots of wines and tapas from different producers. I’d recommend the fried fish tapas at Casa Labra, near Puerta del Sol. And La Venencia, an old fashioned sherry bar on Calle Echegaray, not far away. it’s not food and drink but if you’re interested in Art go to the Prado Museum. Lots of fantastic paintings and they let amateur artists set up an easel and copy them…fascinating. The Mercado San Miguel has already been suggested - it’s a fab place for a glass of sherry or wine with tapas (the padron peppers are a must!) and fun people watching. The ridiculously-named Oh! Mandril (great place for beers and chilling out), and - if you like Pulpo -this one’s great! If you got time for Art - definitely try either the Del Prado or Reina Sofia - though you could spend days in both. Have fun! It’s a great city! I’m lucky enough to have friends in Madrid and have visited a few times now. As Inbar mentioned both the Prado and the Reina Sophia are must sees ( was particularly taken with the rooms devoted to Goya at the Prado and Picasso’s Guernica at Reina Sophia, powerful stuff ). I’d thoroughly recommend Bodegas Rossel, close to Atocha railway station, for tapas, some more substantial fare, and a great selection of Spanish wines by the glass. The other museum that I liked a lot was the Thyssen Bornemisza, as well as the two already mentioned. I can’t remember the names of any particular restaurants or bars, but don’t remember ever having a bad wine. Hope you like eating late in the evening; it’s not a place for early dinners! Fish and vermouth are a new one to me but I’m gonna have to give it a go the next time I visit. Thanks for the heads-up. Wish I could remember where the flamenco bar was that I was once taken to. What a fascinating place, so very different to what I’m used to culturally ! As for the Prado and Goya, my friends had to drag me out. Wish I could remember where the flamenco bar was that I was once taken to. Was it Casa Patas, by any chance? A great place to eat and watch flamenco. Funnily, this means "a person who does not drink wine" in Hungarian (part of the Thyssen family is Hungarian it seems). This is my favourite museum in Madrid. Somehow much more accessible than the Prado. Much less religious art too which I think is a good thing. Apologies for the delayed reply but I exceeded my post count on day 1. No it wasn’t that one. Thinking about it last night I realised that we were lucky to gain entry to the one we went too ( one of my friends knew the owner ). More of a backstreet dive in some ways with couples taking turns to dance, very seriously and with passion, to pre recorded music. Quite a privilege really. Sacha is my favourite restaurant in Madrid. The wine list is not amazing but the the food certainly is. Here is where chefs go to eat! La Fisna is a great wine bar with good prices and some nice bites to eat. Laredo is provably the restaurant with the best wine list, their fish menu is fantastic and the produce super fresh. Lavinia in Mercado de la Paz is a great little wine shop where to find some top Spanish producers. 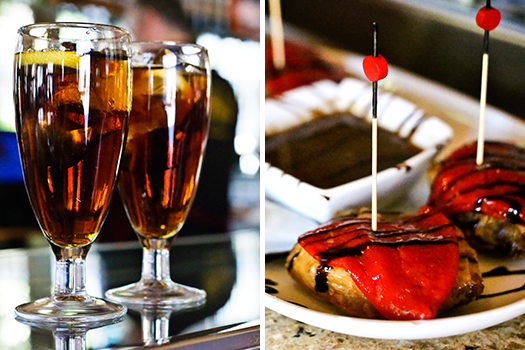 I’ll definitely second Reina Sofia, and a Sherry at La Venencia is a must! I also was told by my friend who grew up in Madrid that Los Chuchis in Lavapies has the best food in Madrid… I have to say I wasn’t disappointed, it was delicious! Thanks to everyone that has replied - some real gems, look forward to trying as many as possible!